Kimoyes item: 23091 - This is a sample cotton yukata piece in excellent condition. 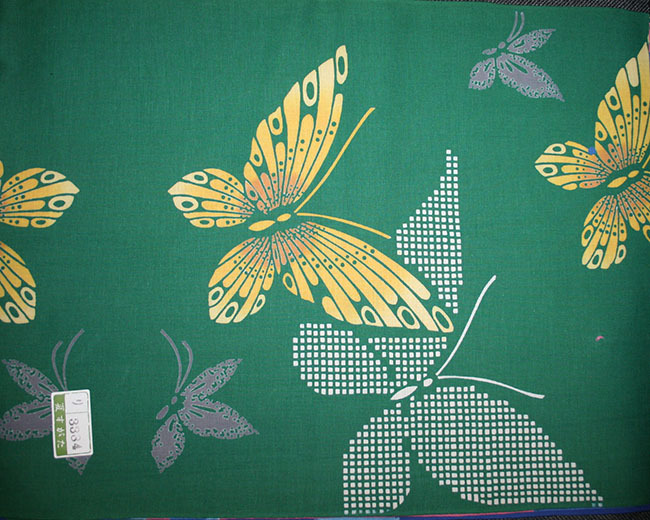 This is a sample cotton yukata piece in excellent condition. These pieces have an identification label which can be easily removed. There are also two small punch holes about 1.5 inches from the top where these samples were attached in a booklet form. Some of punched holes can be seen in the full length photos.